Are you looking to replace or upgrade your business phone system? We can help you save up to 25% off a Unified Communication system. Move your fixed landline to us and get 15% off, move your mobiles to us and get a further 10% off! 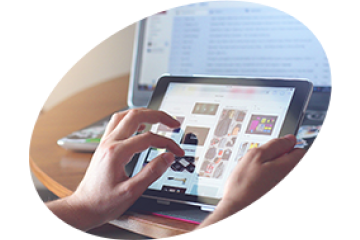 Unified Communications (UC) enables better collaboration by unifying formerly separate modes of communication into a single, combined user experience. Email, text, and voice messaging work seamlessly with live voice, audio and video conferencing, and web collaboration, in one interface, with “presence” notification to indicate your availability to participate. A finger swipe lets you move between tablet, smartphone, or desktop phones, while One Number Service lets calls follow you to whatever device you select – whether office or home – completely transparent to your caller. And unified communications can be integrated or embedded into your business process software. 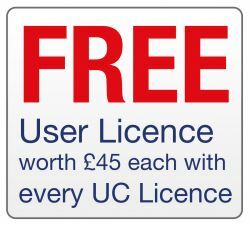 For every Unified Communications Licence purchased we’ll give you a FREE User Licence worth £45 (per licence) AND you’ll get up to 25% off the value of the system. If you only want the phone system but not the Unified Communications that’s OK too you will still get 50% off the User Licence.